Karachi :- LG Electronics (LG) has been selected by a premium German automaker to supply ADAS (Advanced Driver Assistance Systems) camera modules and related software for the company’s next generation vehicles. The LG-designed ADAS camera is capable of collecting traffic information to help drivers make better decisions and increase safety on the road. It can accurately recognize and respond to surrounding environments - even at busy intersections - using the camera. 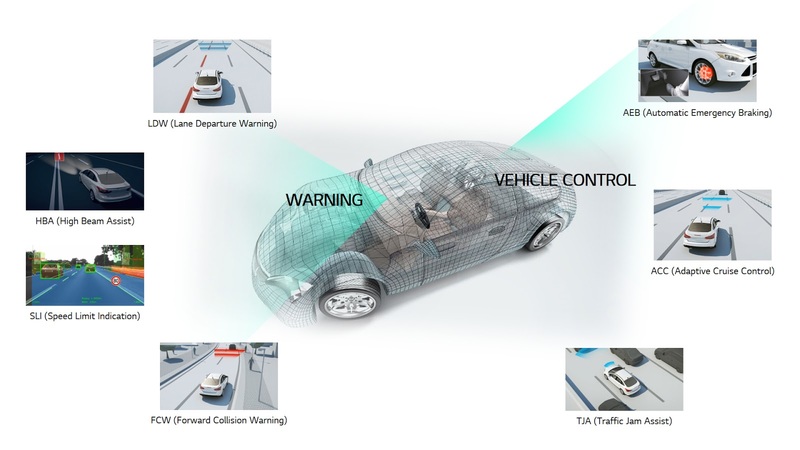 As a key component of an overall smart car system, the LG camera can detect objects from a distance and apply Autonomous Emergency Braking if a collision is imminent. The camera can also help keep the car in the lane with Lane Keeping Assist technology as well as at a safe distance from other vehicles. Traffic Sign Recognition and High Beam Assist are other advanced features of the LG ADAS camera.